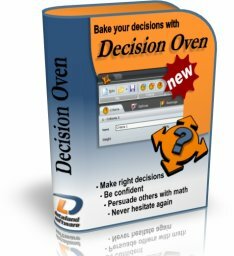 If you ever felt lost while pondering different options desperately wanting to choose the best one, this software could be just what you need. By user interface designed for ordinary humans, let our software do the underlying math and present you with best alternative that suits your needs. What decisions it can be used for? 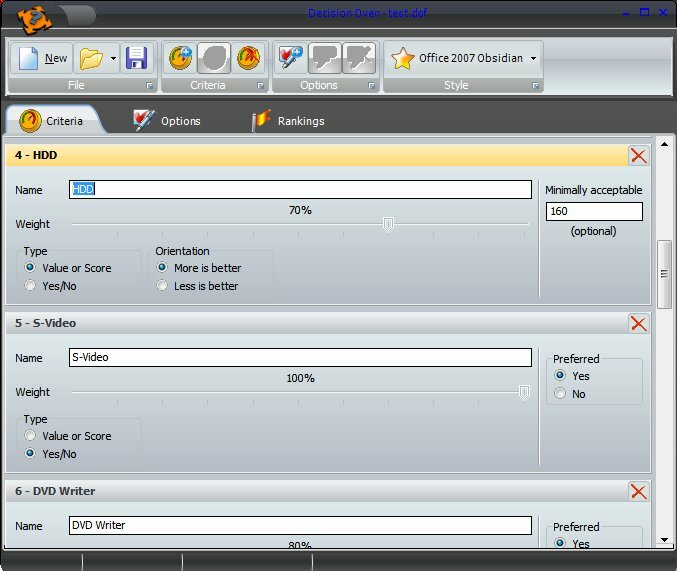 This is a decision support software for everyday people. Existing decision support systems are targeted to large corporations and most of them solve specific problems. What's the best computer for me? Where should we go for a vacation? Where to go for a dinner? What project should we work on? If you want to be notified about new releases and other information related to Decision Oven, why wouldn't you subscribe to mailing list? We would like to hear any ideas, suggestions, praises or critics that you might have. Copyright © 2008-2009 by Dataland Software. All rights reserved.